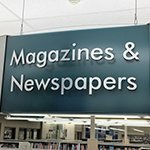 The right blend of cohesive indoor signage has a significant impact on your business, whether you are running a retail store or a private distribution center. From assisting customers with wayfinding to keeping your staff safe in hazardous areas, your business needs indoor signs to keep operations moving in the right direction. Choosing the right interior signs can often present a challenge. Your marketing goals, how customers navigate and utilize your facility, legal requirements, and even the wear you expect your signs to experience must all be considered. These different factors all play a significant role when choosing indoor signage, making it even more important to work with a professional sign company to ensure you get the right signs for your needs. As your local Toronto sign company, Complete Signs & Graphics, we not only understand signage, we understand how signage can be used to control the flow of traffic through a business, how they can motivate employees, and the impact they have on ensuring your brand is remembered. We specialize in creating impactful signage elements that are tailored to your brand, location, and needs, and we are dedicated to ensuring the solution we deliver takes your business to the next level. Are you unsure of what signs your business needs or moving to a new location? We offer on-site evaluations at your location to help you determine the right type of signage for your business. This allows us to provide appropriate signage recommendations so staff and customers can navigate your facilities and get the information or directions they need with minimal assistance. Call Complete Signs & Graphics at (647) 484-3889 for your Free Consultation with an Indoor Signs Expert! Most office buildings are made up of several different businesses or have multiple offices for a single company. Either way, this can provide a challenge for new guests as they attempt to navigate your facility. This often leaves the task of providing wayfinding assistance to each and every new visitor to your receptionist. However, by installing effective signage elements, many businesses can utilize their receptionists for more critical tasks. 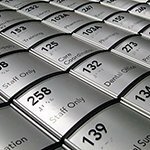 From rood identification signs to directories, indoor signage is critical for supporting wayfinding within a large office complex. With proper placement, your signs can intuitively lead a visitor on their way, allowing them to quickly find the office or area they need with minimal support. 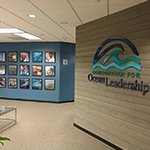 Indoor signs are also a fantastic branding tool in the office setting. 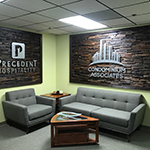 Wall murals, floor signs, logo signs, and informational signs are all able to be used to share information about your products and services, brand, and business history. Many businesses are utilizing multiple signage elements to reinforce their message throughout for maximum cohesion. 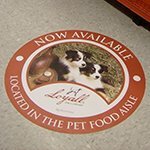 While indoor signage for restaurants and retail establishments are often targeted more at promoting products than reinforcing branding, that doesn’t mean your branding doesn’t play a significant role in your wayfinding and promotional signage! 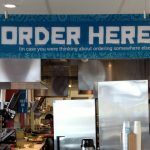 Complete Signs & Graphics custom creates attractive point of purchase signage, product displays, menu boards, hanging banners, floor vinyl and more that will not only highlight your products, but utilizes your logo, fonts, and colors for brand reinforcement throughout. We make it easy for your guests and customers to navigate your facility, readily finding the departments, products, and areas they need to do business with you. We understand customer behavior and their expectation for signage, so we focus on creating intuitive signs that allows us to ensure that you are meeting those expectations. While not every business is open to the public, that doesn’t mean that they don’t need impactful and effective to keep operations moving smoothly. 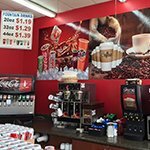 Whether your goal is to remind staff of save practices and hazard areas, improve employee morale, or tell the story of your business and brand through vinyl graphics, Complete Signs & Graphics has the solution you need to do that and more! Wayfinding signage, wall murals, indoor banners, and safety signs all work towards supporting your business goals, both by creating a workplace that employees can enjoy and by reducing the risk of injury. Complete Signs & Graphics is your source for impactful manufacturing signage, providing assistance, guidance, and support, so you get the right signs for your needs. Building brand name recognition is difficult. Consistency throughout all of your promotional marketing and corporate messaging is essential to brand engagement. By having solid brand guidelines, and referencing them throughout all creative endeavors, you not only cement your business as an established expert in your industry but also obtain that much-needed repetition for your brand to take hold. We create custom lobby signs, accessibility & AODA signage, directional signage, indoor banners, point-of-purchase signs, and window signs that perfectly complement existing signage and most importantly your brand. Do you need design assistance? 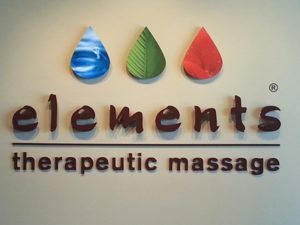 Our experienced designers can conceptualize the perfect indoor signs for you, utilizing your existing styles, colors, and fonts, or create new brand guidelines, including a style sheet you can use moving forward. Complete Signs & Graphics is your source for attractive, cohesive indoor signs and graphics. 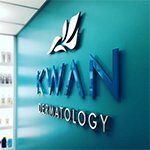 From lobby logo signs to product displays, we understand the unique needs of different businesses and niches. We consider your brand personality, physical space, and business goals to craft the right signs for your needs. Whether you need a single custom graphic or an entire collection of product displays, Complete Signs & Graphics will create it for you! We are dedicated to ensuring your signs are attractive, high-quality, and produced using environmentally sustainable materials and methods whenever possible. In need of exterior signs to match? From A-frames to pole signs, channel letter signs, dimension letter signs, vehicle wraps, and other commercial signage, Complete Signs & Graphics has the solution you need! Complete Signs & Graphics handles every aspect of the interior sign process. First, we meet with you to discuss what you want out of your interior signage. If you already have existing branding guidelines in place, we are happy to work off those, or we will assist with creating a new brand style sheet for maximum cohesion. Once we have a firm understanding of what you need, we’ll create a draft sample of your project that you can proof and edit as you desire, ensuring that everything is accurate, meets your needs, and is in-line with your desired style. Once any adjustments have been completed and we have your final approval, we will move your custom sign into the production phase. Our team uses state-of-the-art machines and premium-quality materials to craft your indoor signs and banners. We inspect each and every sign to ensure that it meets both our standards and yours. Finally, we offer complete sign installation services. Indoor signage loses its effectiveness if it doesn’t have a professional finish. You can have a fantastic, attractive sign, but if it won’t light up or hangs crooked, then you have turned an incredible sign into one that will do more harm than good. Our expert signage installation team will ensure that your signs and graphics are appropriately secured, stay in place for years, and work with your space. Complete Signs & Graphics looks forward to working with you, providing expert design skills, superior sign creation, and unmatched customer support. Our dedicated, knowledgeable staff is eager to create all of the interior signs your business needs to assist with navigation, product promotion, customer service, and brand reinforcement. Call Complete Signs & Graphics at (647) 484-3889 for your Free Consultation with an Indoor Signs Specialist!